1. Please select each colour, size and quantity required per style, add to cart. 3. Once you proceed to checkout and if you select the "Custom Plus Size" option from the drop down menu, please specify bust, waist and hips measurements and for "Kids/Jr" option, specify age. 4. Also include your need by date in the notes to seller section at checkout along with any additional comments. 🔸A soft and breezy matte crepe robe with a high low hem to add a little extra flare to the ensemble! 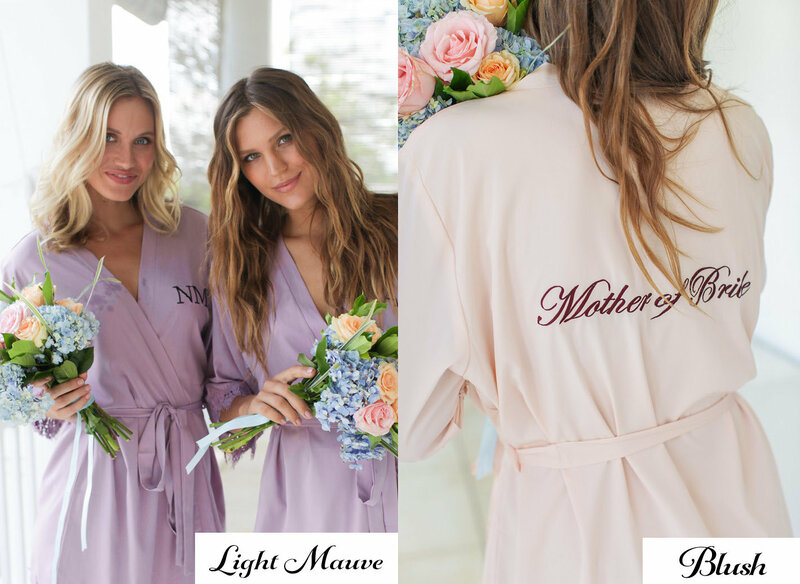 Perfect for a bridal party that wants to look extra stylish but still feel effortlessly comfortable. 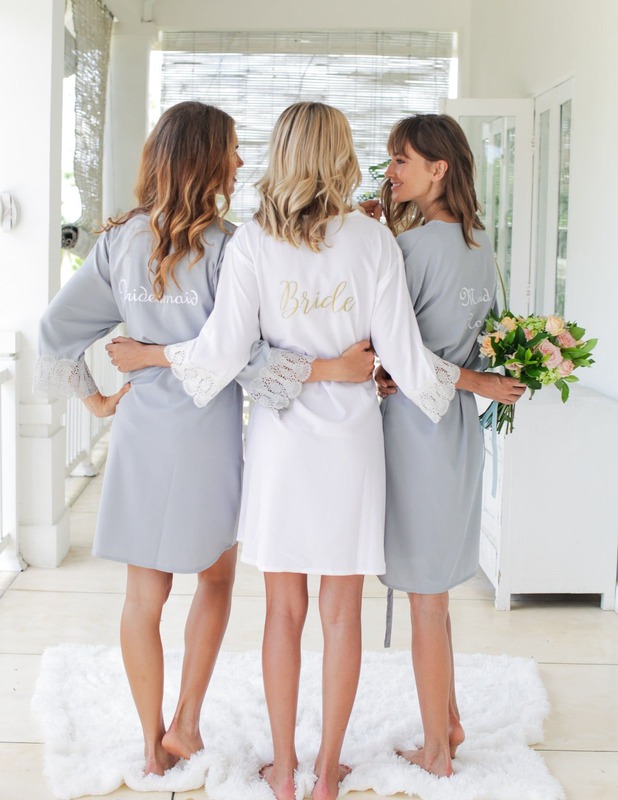 🔸White bridal robe is lined for free! 🔸The fabric is soft to the touch and lightweight. 🔸The lace pattern is truly a regal lace! This intricate lace will make a statement in itself providing a feeling of confidence and class. Custom Sizes: Provide bust, waist and hips measurements, additional charge. XS/S - 34" , M/L - 35.5" , XL - 36.5", XXL - 37.5", XXXL - 38.5"